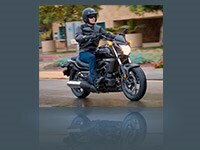 Cruiser-class motorcycles are some of the most popular bikes in the world. Why? Sure, some of it’s because of a look, but scratch down through the chrome and paint and you’ll find something more, and that makes a lot more sense. 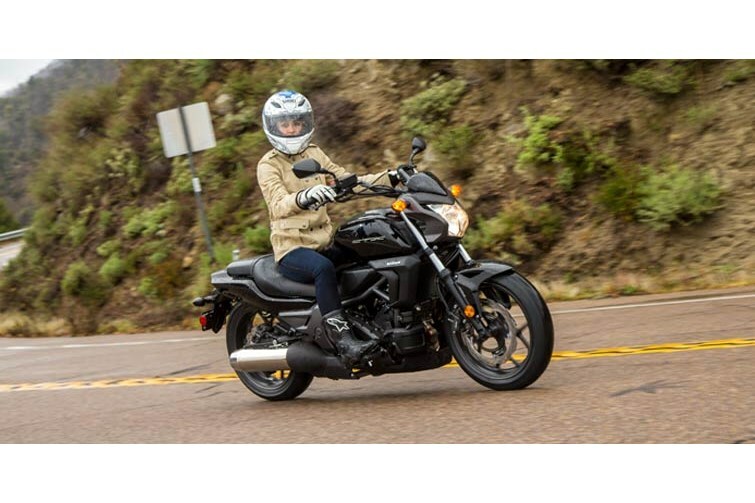 As a class, cruisers offer what lots of riders want: low seat heights, relaxed riding positions, and rider-friendly power delivery from twin-cylinder engines. The only problem is that a lot of them start looking alike, and many riders think a cruiser should be all about individuality. That’s where the Honda CTX700N DCT comes in. We took the best parts of the cruiser idiom and put them together into a package unlike anything else you’ll see on the road. 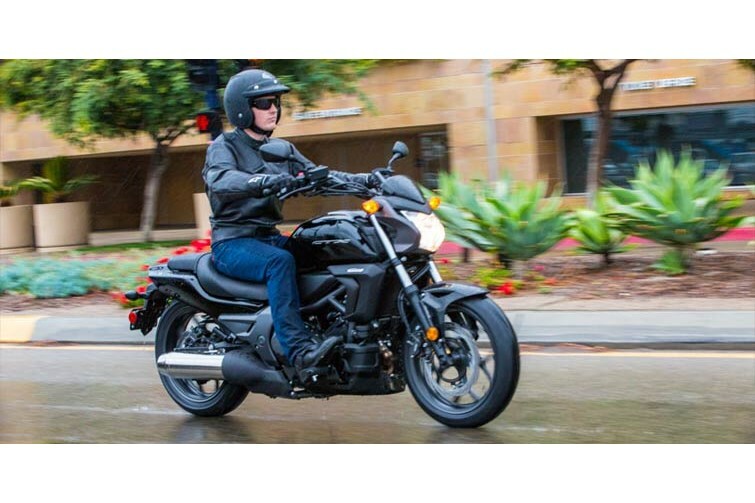 The low 28.3-inch seat height makes this a great choice for both urban riders who have to deal with stoplights and parking lots as well as anyone who likes a machine with a lower center of gravity. 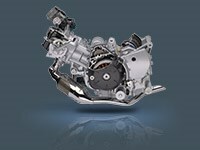 And there’s plenty of technology in this bike too, like the standard Honda automatic (DCT) transmission and Anti-lock Brake System (ABS). Top it all off with a classic black paint scheme, and get ready to hit the road! 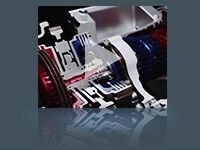 The CTX700N DCT comes with an automatic transmission and Anti-Lock brakes. 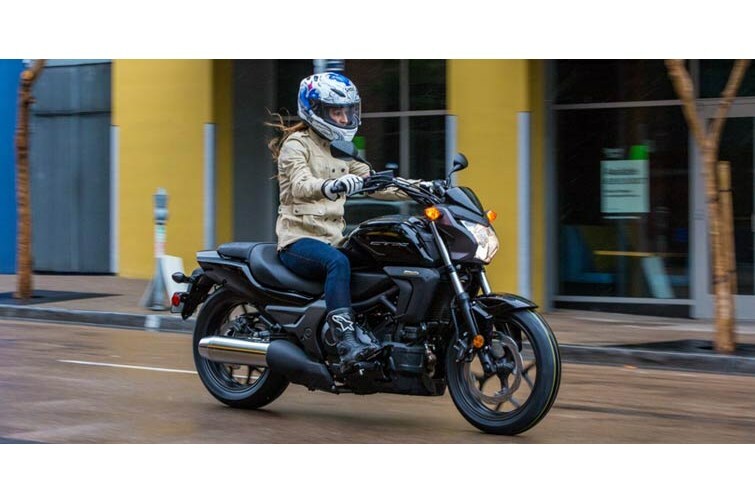 With the automatic DCT transmission, you can shift with the push of a handlebar-mounted button, or select the automatic mode and the bike will shift itself. Plus, ABS provides improved stopping in less than ideal conditions. 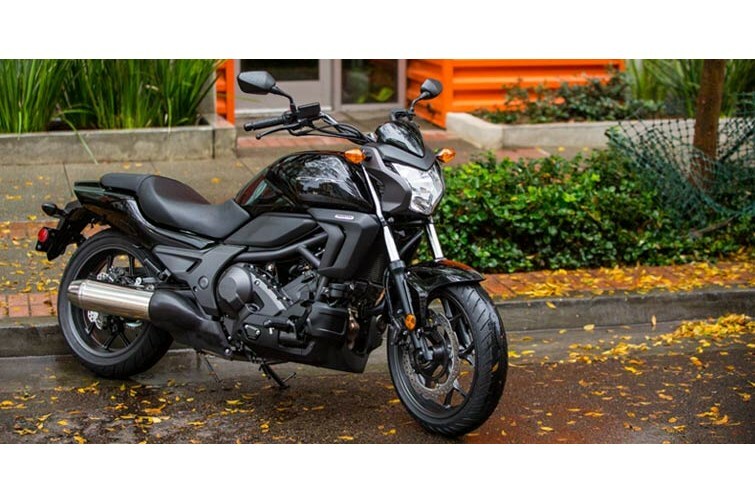 Honda’s CTX’s are all about making motorcycling fun and accessible. The CTX700N’s relaxed riding position and low seat help achieve this goal. 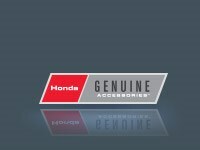 A wide array of Honda accessories designed specifically for the CTX700N is available to help you get what you want out of your ride. 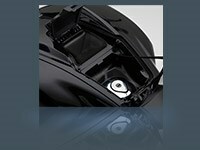 Best of all, they feature the same quality and durability you’ve come to expect from Honda.